Massachusetts follows what is known as no-fault insurance model. In a no-fault model, a driver who is injured in an accident must first file a claim against their own insurance company for injuries sustained in the crash. In some instances, no-fault insurance prevents the other driver from being taken to court in a personal injury lawsuit. The injuries are so serious, such as permanent scars or disfigurement, and affect the victim’s quality of life. The statute of limitations on a car accident claim in Massachusetts is 3 years from the date of the injuries, which is normally the date of the accident. In some cases, where injury is not immediately obvious, a “date of discovery” may be the beginning date for the 3 year statute of limitations. 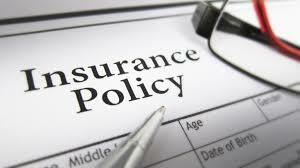 $8,000 for each person and each accident, for personal injury protection (PIP). $20,000 for each person and $40,000 of uninsured motorist coverage. Although we are a no-fault state, comparative fault still matters. Although your insurance company can be legally responsible to pay regardless of fault, should you decide to pursue the other driver, your award will be reduced by your own percentage of negligence in the crash. For example, an award of $1,000.00 against the other driver will be reduced to $900 if you were 10% at fault.It is also likely that an at-fault driver will experience increased auto coverage rates following an accident. Many car accidents in our state will go outside the no fault system depending upon their severity. In cases of a car accident with injuries you should always contact a personal injury attorney right away. At the Law Offices of Jeffrey S. Glassman, our attorneys have experience with no-fault insurance issues as well dealing with third party insurance companies. If you would like to speak with us about Boston car accident, please call us at 617-367-2900 today for a free consultation.